Home /DTH/Boost Up Your Level Of Entertainment With Videocon D2H New Connection Offers! If we talk about 70’s, 80’s or even 90’s, then watching TV has never been fun and entertaining like it is now. Our way of watching TV was completely transformed with the introduction of satellite TV broadcasting services. Now, doesn’t matter if it is an ordinary weekday or a special weekend, with the DTH services customers experience the best picture quality at an amazing cost. And as there are many DTH service providers, they keep adding new and innovative features to their Direct-to-home services and help us transform the boredom of our lives into fun-filled moments. Also, the availability of online assistance has added more ease to watching Television, as through portals like TalkCharge etc. DTH Recharges are now hassle-free, easy and instant. Be it your love for daily soaps or watching live cricket or football matches, there is an infinite number of channels available, that is broadcasted through satellites. With the huge options available you can enjoy any genre of shows you want. The DTH market is very competitive nowadays and it is quite confusing to determine the most suitable one for our home. The reason is to find a DTH operator with the cheapest DTH Recharge plans isn’t all and you need much more than this. I am going to help you with this by telling some of the important advantages of getting Videocon D2H that will make you realize how cheaper and superior it is. For full-on entertainment, the picture quality that you see on your TV matters a lot and Videocon D2H provides theatre like sound and picture quality that is enough to impress you in the first look. Moreover, entertainment is not only about the serials or reality shows anymore and it has reached a whole new level. To let you reach that level, Videocon D2H provides a variety of informative and regional channels which are enough to add some amusement into your monotonous life. It’s true that there are many in the DTH market that is literally playing with many types of services, but Videocon D2H is evolving as one of the finest of all with its upgraded set-top box features. The best thing about Videocon D2H is that the cost of Videocon D2H Recharge plans is very confined, but the services offered are limitless. The reliable and high-quality services are something which everyone needs and that’s what we are actually getting from Videocon D2H. It all started in 2009 and since then there is no looking back. With time their customer base has also increased in a tremendous manner and as they are capable of luring any age group including kids and elderlies; people actually trust their services. What made Videocon D2H famous? It was new and exciting offers that they still offer to their new customers. They provide all Standard, High Definition and 4K Ultra HD Set Top Boxes which are created as per the requirements and likes of people in India. You can pick any and enjoy the satisfactory services at much affordable online DTH recharge plans. 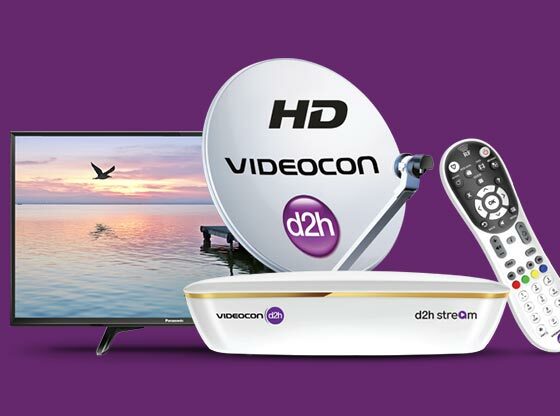 You must have decided after reading this that Videocon D2H is what you need with your DTH connection and I would say that not only you but your TV will be happy too with such an amazing partner. And when there are DTH Recharge services available at TalkCharge, you don’t have to worry about keeping a monthly track of the due date. Here, you can get your DTH recharge done in seconds and could also avail some stunning cashback offers that will help you save even more on your Recharge Payments. For more details about DTH Recharge visit www.talkcharge.com.